What is Epoxy Metal Flooring? Business owners and residents looking to create a high-quality shine for their concrete flooring in a way that beautifully shows off the system’s colors and depth can benefit from a metallic addition to their epoxy flooring application. By infusing metallic pigments into the mixture, you can further enhance the benefits of your epoxy floors. Many clients enjoy the marble-like finish of this cost-effective service, combining expert outcomes with other design elements to take the building’s interior to the next level. If you’re looking for shining outcomes for your epoxy floors in Orlando, PPI Flooring is here and ready to help. Our contractors can deliver ideal solutions for your building’s unique floor system, including epoxy metal flooring finishes for long-lasting results that are sure to impress. 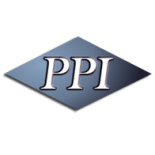 PPI Flooring is here to deliver the best finishes to businesses across Florida. Our Orlando-based epoxy flooring team has the training and equipment needed to match your floor system’s needs in a stylish, affordable manner. Unique appearances – By infusing metal specks, your concrete floors will showcase a layer of epoxy that has depth, movement, and other aesthetic benefits. Our flooring contractors can help you find the right fit for your business. High-cost looks without the cost – When finished correctly, epoxy metal floors can highlight an amazing level of depth and quality, enhancing your space while keeping it safe. Durable protection – Protecting your concrete flooring from costly damages is essential, and this shiny finish is sure to deliver complete support against stains, scratches, and more. Continual beauty – When properly cared for, your epoxy metal flooring will be able to last for years without losing its quality shine. PPI Flooring will tailor an ideal maintenance plan to showcase your floor’s beauty, even after the heaviest use. PPI Flooring is here and ready to deliver long-lasting results for every floor system. Call us at (855) 774-3566, contact us online, or fill out the form below to consult our team!